STAND UP TO THE BULLY – This can work but at times it can make some bullies angrier. You must decide if you think this alternative will work in this situation, with this bully. USE AUTHORITY – Call a teacher, a police officer, a parent, or someone you know can help stop the bully from hurting you. This is not being a COWARD. This is stopping bullying before it begins. USE HUMOR – You can turn a scary situation into a funny one, but be careful. Have fun with the bully rather than making fun of the Bully. AGREE – If a bully insults you, agree with him/her. If you feel insulted, let your anger rise up, watch it, and let it go. REFUSE TO FIGHT – This may sound contrary to what you have always been told, but one way to stop conflict is to not fight, no matter what happens. USE TRICKERY – Pretend you are sick. Pretend you have poison oak. Pretend you have some infection the bully will get if he/she fights with you. Tell the bully someone is about to meet you like your big brother or sister or parents. SCREAM/YELL – A good shout can shock the bully and distract him/her for a moment, so you can get away. MAKE FRIENDS – Treat the bully as friend instead of an Enemy. All bullies need admiration and respect. REASON WITH THE BULLY – If you are a good talker, perhaps you and the bully can talk it out. If you don’t argue or get angry, if you act friendly, you might convince a bully to not hurt you. IGNORE THE THREATS – This is similar to simply walking away. You hear the threats and you turn and walk away from the bully, even though the bully is calling you a coward and trying to get you angry enough to react. TAKE A STRONG STANCE – As a last resort, take a strong stance. This tells the bully you are prepared to protect yourself if you are attacked. But hopefully, one or more of the other ways will work first. No matter what you teach a child, it will not be effective without the confidence to put the lessons into action. Children that fall victim to bullies usually are targets because they lack the confidence to stand up for themselves. 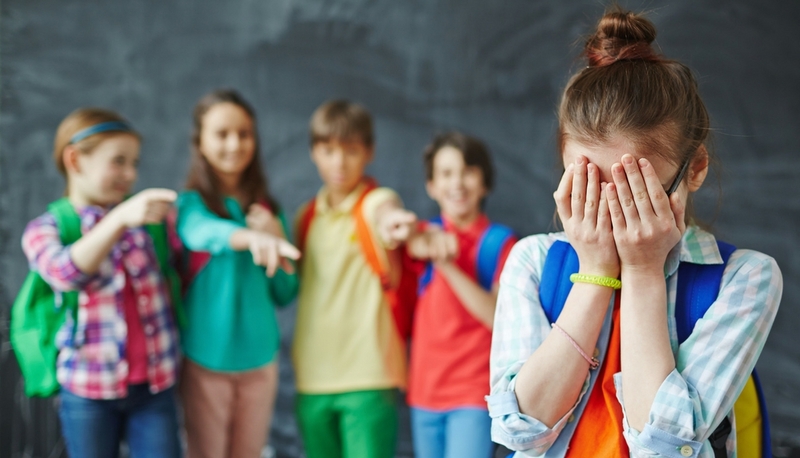 Therefore, it is very important that you begin instilling confidence within your child if you want him or her to effectively handle bullying. Keep your child active in extra-curricular sports and activities, such as Martial Arts. Your child will make plenty of new friends and learn skills which can build confidence. Make sure the activities are healthy and are focused on character development. Also make sure that the teachers and coaches are experts at working with children and building confidence. If you pick the right activity, then you will notice a change in your child’s confidence almost immediately.